28 years ago, on a rainy and cold October day, I was in attendance when Gilles Villeneuve won his first F1 race. To the delight of the cheering crowd, he did it on his home course; the Circuit Île Notre-Dame, which would later be renamed in his honour. Thousands and thousands of spectators were jumping with joy in anticipation of the checkered flag coming down and the red Ferrari 312T3 number 12 to be first to cross the finish line. The miserable weather didn’t matter anymore. The only thing that counted was that Gilles had won. I began following his career when he was racing snowmobiles, another product of Québec, if I can put it that way. He raced Skiroule snowmobiles. They had been designed in the province after Bombardier’s success with Skidoo, but Skiroule was eventually sold to the Coleman Company famous for its camping gear. 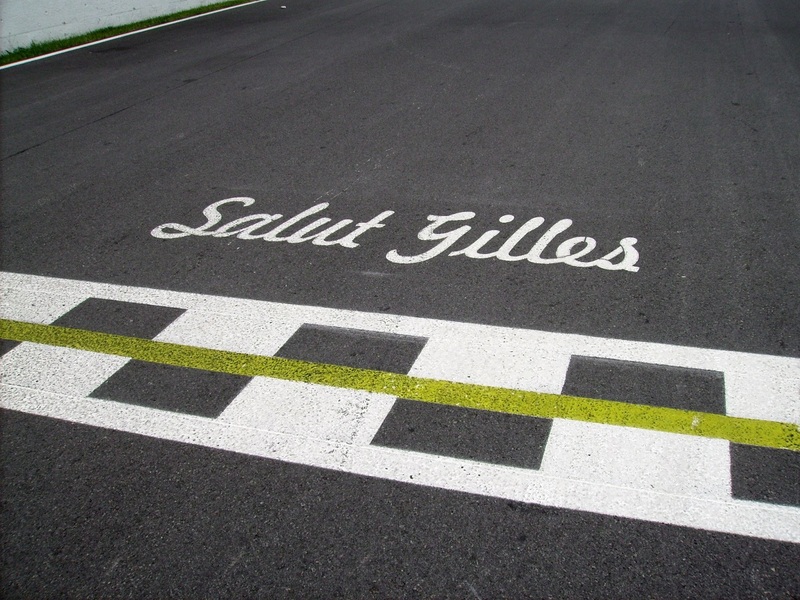 Gilles was snowmobile champion of his province, country and continent. He became the Snowmobile World Derby champion in 1974. He did some drag racing, but going in a straight line bored him. He attended the Jim Russell Racing School in Mont-Tremblant to obtain his racing license. Despite driving an older Formula Ford car he had purchased, he won seven out of the ten races he entered and won the Quebec championship. The following year, he moved to Formula Atlantic. It was raining heavily when he won his first race in 1975. In 1976, he was crowned champion, US and Canadian at that, by winning all but one race during that season. And the sole race he didn’t win, he came in second. He tried to jump to Formula 2 in Europe, but a contract didn’t materialize, so he returned to Formula Atlantic. My brother and I used to go see him racing on weekends. The two-day spectacle included the preliminary races to Formula Atlantic showcased the Honda civic race, Formula Ford, TransAm and CanAm. Gilles also did some CanAm races for Wolf Racing. In 1976, there was a celebrity Formula Atlantic race that included F1 stars. Gilles won the race. In doing so, he impressed James Hunt who was one of the participants and would become the F1 champion that year. James Hunt recommended the Formula Atlantic champion to McLaren, for whom he was racing, and it was the beginning of Gilles Formula 1 career. He lied about his age for fear of being considered too old to be an F1 racer. Although promising at first, things didn’t pan out with McLaren nor with Wolf Racing; the Canadian team that was interested in Gilles for their F1 effort. An interesting thing to note is that Wolf Racing won the very first Formula 1 race they entered. 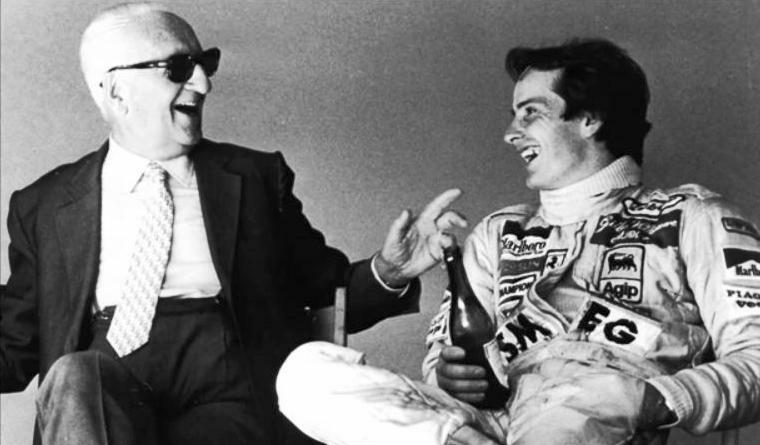 Walter Wolf recommended Gilles Villeneuve to Enzo Ferrari. The Commendatore took an immediate liking to Gilles Villeneuve whose stature reminded him of Tazio Nuvolari. Ferdinand Porsche called Nuvolari the greatest driver of the past, the present, and the future. Mr. Ferrari decided to give Gilles a chance and eventually signed him to a contact. Despite poor showing in the beginning, problems with the Michelin radial tires and calls from the Italian press to get rid of him, the Commendatore kept him on Scuderia Ferrari, much to the delight of supporters like me. Mr. Ferrari grew to love Gilles like a son. 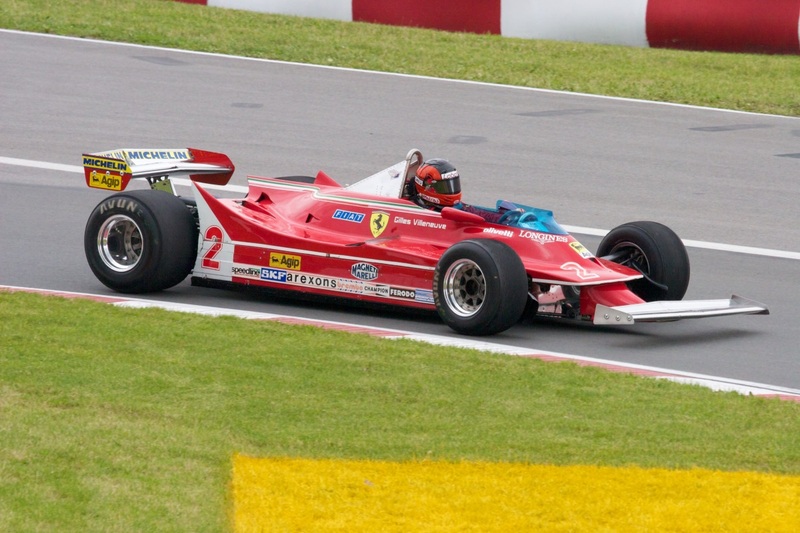 My brother and I kept going to the local races after Gilles Villeneuve had made it to F1. The rest of the family also went to the races. One time, my parents were having lunch in a restaurant in Trois-Rivières Ouest when they spotted Paul Newman. When he saw that he was being recognized by more and more people, he left the restaurant. He was a team owner. I’ll never forget an accident during a race in Trois-Rivières when one of his cars plowed into a concrete barrier at full speed. After what felt like an eternity, they extricated the driver from the wreckage. His legs were mangled. We later learned that he had eventually been flown to Switzerland for medical care, but his legs had to be amputated. In addition to attending live events, we watched Gilles’ races on television. Gilles was called the wet weather master for a reason. One simply has to watch the start of the 1979 Watkins Glen race to see how he maneuvered on a wet racetrack. He started fourth on the grid and before the first turn he was in first position. He credited his snowmobile racing days for his ability to handle slippery surfaces and driving conditions where visibility was minimal. Thanks to the web and people who post videos, you can see footage of his racing prowess. Gilles once said that he can’t hurt himself, but he can hurt the car. That’s how confident he was. Who can forget the duel between Arnoux in his Renault twin-turbo and Villeneuve in his Ferrari at the 1979 French Grand Prix? It was unbelievable racing. That same year, he was voted fastest F1 driver by his peers who included mechanics and team directors. When that fatal day happened in 1982, a little piece of us also died. He was 32. Seeing the pictures of him by the fence as track officials try to revive him breaks your heart. But sadness gives way to rejoicing for all that he has accomplished. For one, he was voted best Ferrari driver, ever, by Motor Sport Magazine. So, on this dreary October day, 28 years later, I remember you, Gilles Villeneuve. Thank you for all the excitement you have provided your fans. I’m glad that I was able to see you race in person and to be there when you won your first Grand Prix; the only Canadian to ever win an F1 race on his home track. 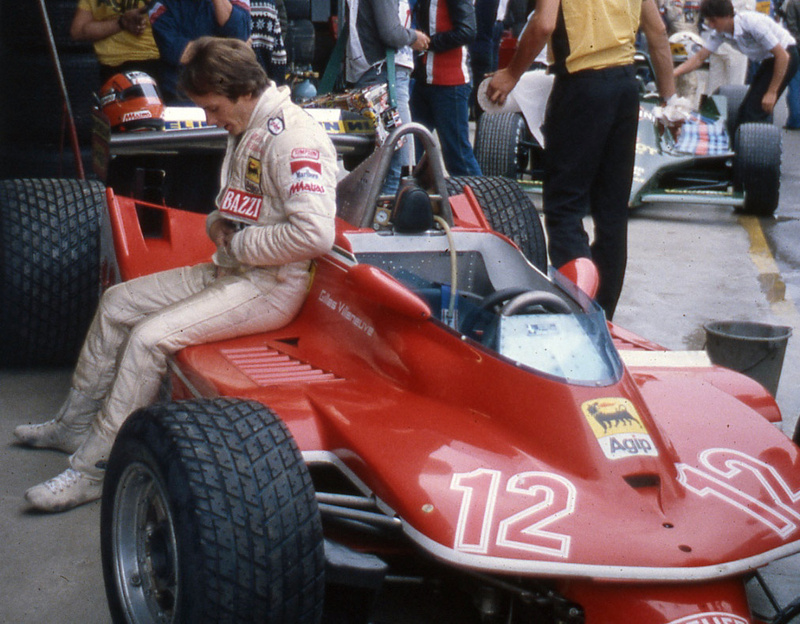 Your memory lives on, Gilles Villeneuve. This entry was posted in The Driver's Edge and tagged 312 t5, arnoux, best driver, enzo, Ferrari, formula 1, formula atlantic, gilles, grand prix, james hunt, mclaren, montreal, paul newman, renault, snowmobile, villeneuve. Bookmark the permalink.